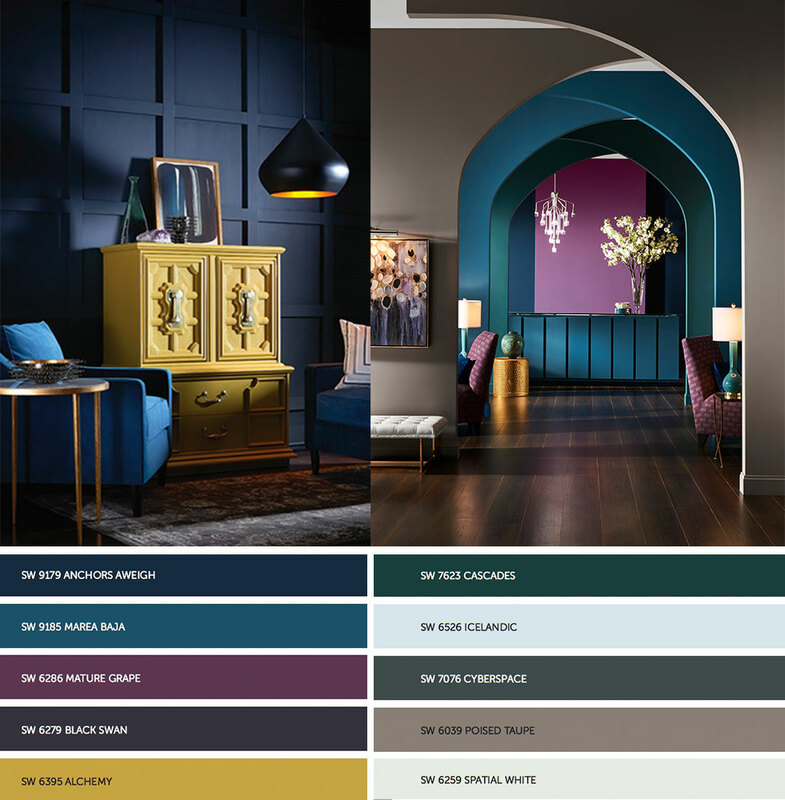 Sherwin Williams has paired neutrals with on trend color combinations suitable for all styles. Given the wide range of color combinations and design styles, we as designers, are here to help you discover your unique style to create a space that you love. 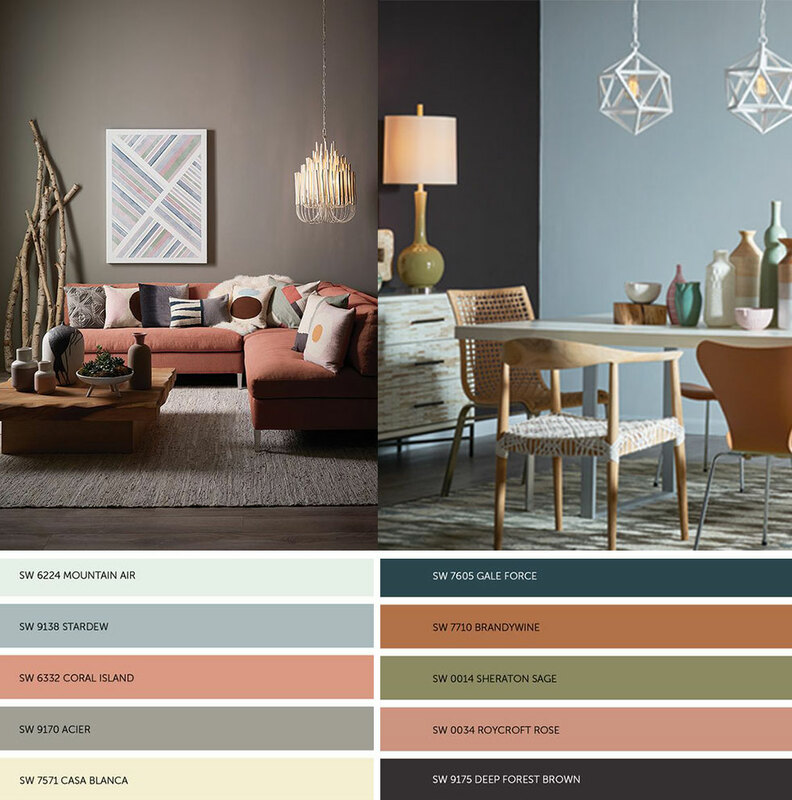 Sherwin Williams’ Holistic color mix pulls together softer colors for an organic and unique look. The subtle hues of blues and corals offer a calming interior, whether modern or traditional. These unexpected combinations create the perfect space. Full of rich, bold and saturated colors, the Sherwin Willams’ Noir mix, offers a dramatic combination for your home. The fusion of dark hues with on-trend neutrals provides a romantic and fearless look.